Refrigerated Shipping Containers, also known as reefer containers, are commonly used for the storage and transport of perishable goods for anything from one off event hire to more permenant solutions. These containers can be used as freezer storage containers for frozen seafood, frozen vegetables and ice cream or for chiller goods such as fresh fruit and vegies; dairy products, fresh cut flowers or just about anything that requires strict temperature control. Temperatures can be pre-set for you, individual temps can be set for both units. 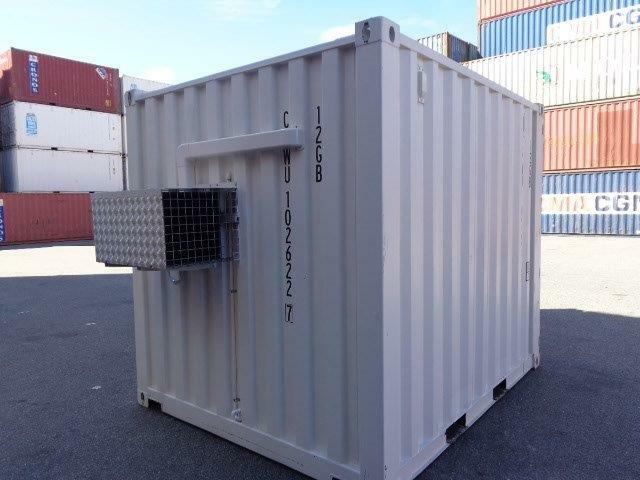 The following gallery is to give you an idea of what we have on hand in terms of Refrigerated Shipping Containers for Sale or Hire. You can narrow down your search by checking the boxes below indicating the container condition you require. 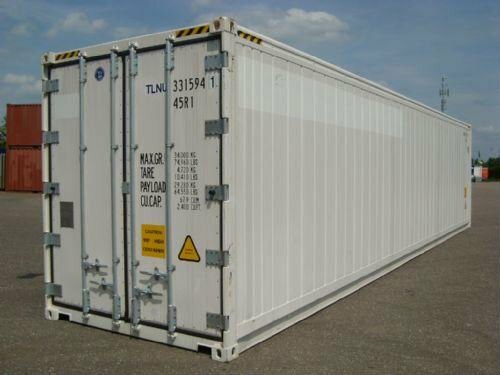 Click/tap the following categories below to get more detailed information about this type of shipping container. 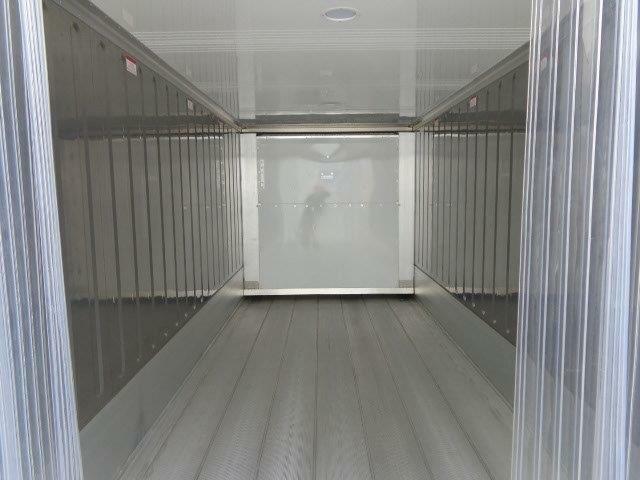 Each of our refrigerated container is fully insulated with a stainless steel interior, aluminium “t” flow floor for ease of cleaning and washing out. The refrigeration controls are simple to operate with fully adjustable temperature range between -25 and + 25 degrees celsius, running on 3 phase power. Explore the product gallery below to learn more about our new and used refrigerated containers for sale or hire. 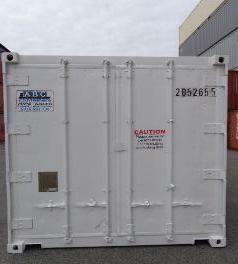 Refrigerated containers can be partitioned to include freezer and refrigerated storage sections in the one unit. When turned off, the insulated walls make the container suitable for dry storage as well. 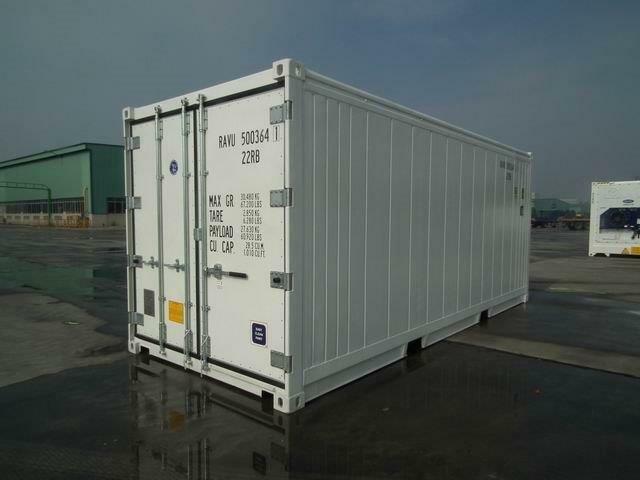 Other modifications allow these containers to be used in certain commercial and industrial applications for the safe storage and transport of resins and chemicals that require exact temperature control. We can fit, fabricate or furnish custom modifications to suit your specific needs including: personnel doors, food grade shelving, safety and security systems.